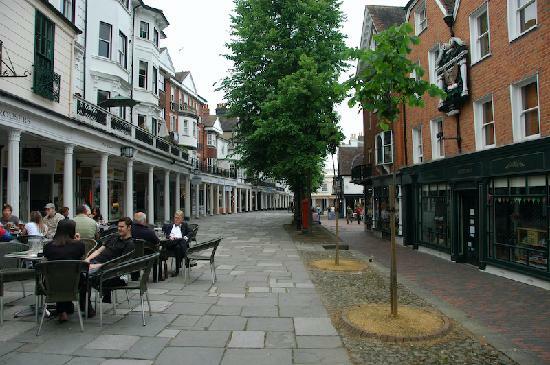 The Pantiles, the old commercial centre of Tunbridge Wells, is a 17th century pedestrian-only shopping street. Formerly known as The Walks and the Royal Parade. It seems that the use of pantiles for paving in Tunbridge Wells is unusual if not unique. 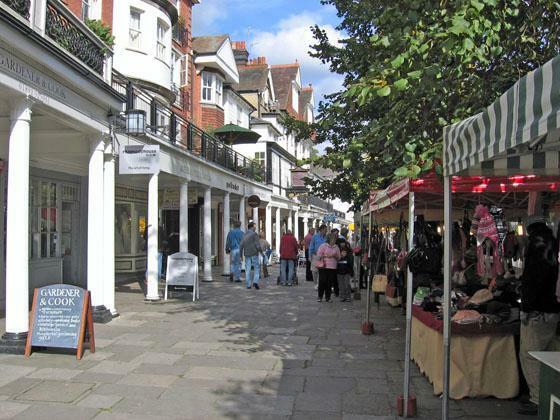 The Pantiles are located at the South end of Tunbridge Wells and the bottom end of the town. Perfect place to have a wander and a brows in the shops, stop off for a cup of tea in one of the pubs or coffee rooms.